In the NCIS: Los Angeles episode “Born to Run,” Sydney Jones (Ashley Rae Spillers) turns to her sister Intelligence Analyst Nell Jones (Renee Felice Smith) for help. Sydney drags Nell to the parking lot of a donut shop where they meet Sydney’s high-school crush, Andre Martinez. Turns out the handsome young man is mixed up in a Russian plot to steal intelligence from the Department of Defense. You read that right. Big thank you to the incredibly talented director @lilymariye for casting me in her episode of @ncisla! Lily hired me in my first role – Treyshawn Doty – for her film Model Minority, and it was a bit surreal getting to work together again . . . only now with @llcoolj on set. This won’t air for a bit, but I hope you all enjoy it when it does; I put a little extra effort into the part, because my mother made a point to call before filming, and told me to knock you out. 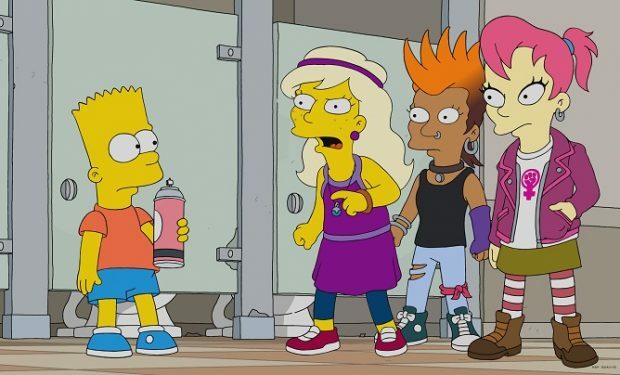 Who Is Woke 6th Grade Girl Erica with Orange Mohawk on ‘The Simpsons’?